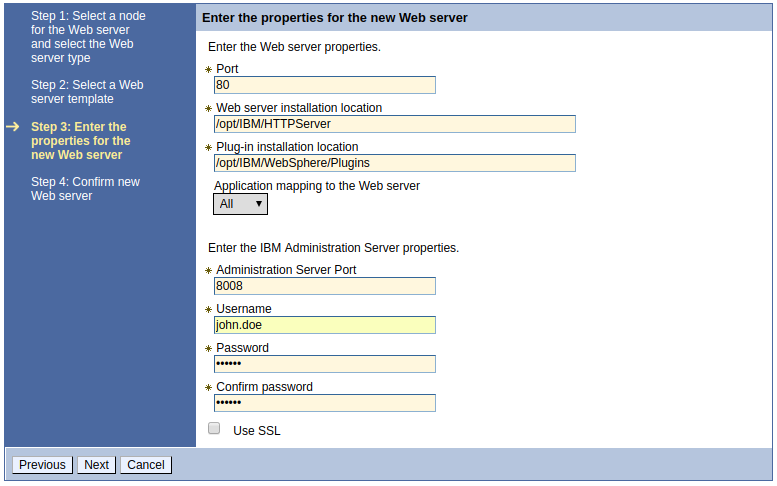 This assumes you have installed IBMs IHS web server (command line install, GUI install). The IHS admin server is included in the install. In the ihs_home/conf/admin.conf file, give the admin server a port, user, group, and server name. Ensure the admin server is running. You should now be able to use the IHS admin server. There is no web interface for the admin server. If you navigate to http://www.example.com:8008/wasadmin, there will be a prompt for your username and password. If the wasadmin page produces something like "page cannot be displayed", SSL may be enabled in admin.conf. You'll want to comment out the SSL directives in admin.conf and then restart the admin server so that you can access the admin server over HTTP. When you provide your username and password, the following page will be displayed. This is normal, and not suggestive of a problem. There are other parts of IBM software that will use the admin server. For example, if you want to be able to start or stop IHS from a WebSphere deployment manager, you will need to provide the admin server port and credentials when adding the web server to the dmgr.